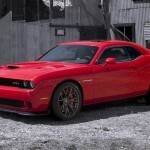 the Challenger SRT Hellcat might have blew your mind with its insane, if not unnecessary, 707 hp and 650 lb-ft of torque, but what if you have a family to ferry? 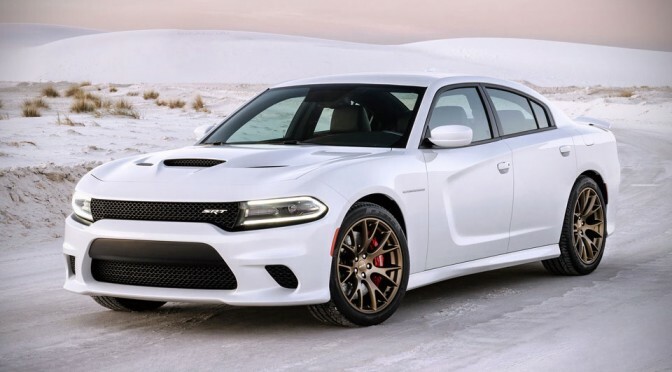 two doors ain’t going to be anywhere near practical and that’s why there is the 2015 Dodge Charger SRT Hellcat, stuffed with the same supercharged 6.2-liter HEMI Hellcat engine under the bonnet, which naturally, offers the same ridiculous 707 horses and 650 lb-ft of torque as the other Hellcat. 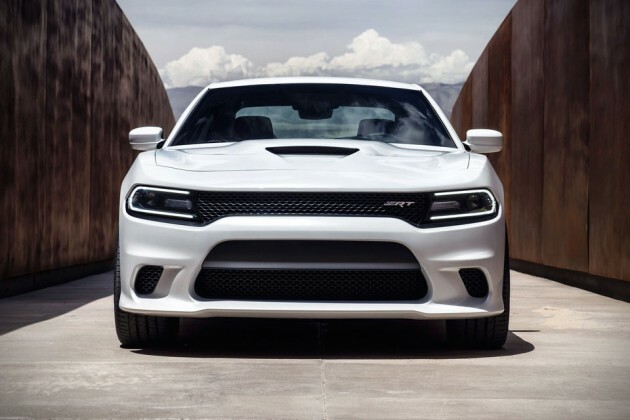 Dodge is claiming the Charger SRT Hellcat the “quickest, fastest and most powerful sedan in the world” (well, right out of the factory, that is), which it has three numbers to back it up: 11 seconds quarter mile sprint, under 13 seconds to get from naught to100 mph (160 km/h), and 204 mph (328 km/h) top speed. 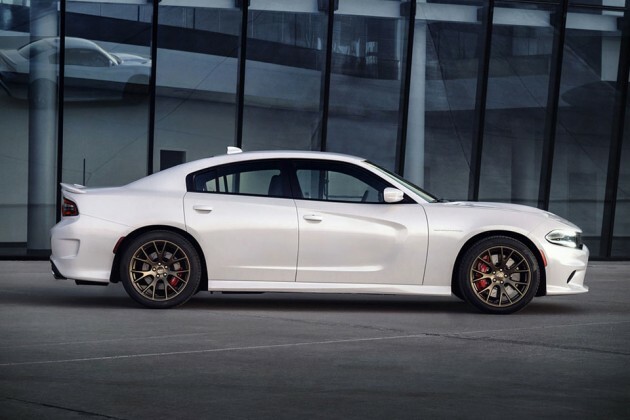 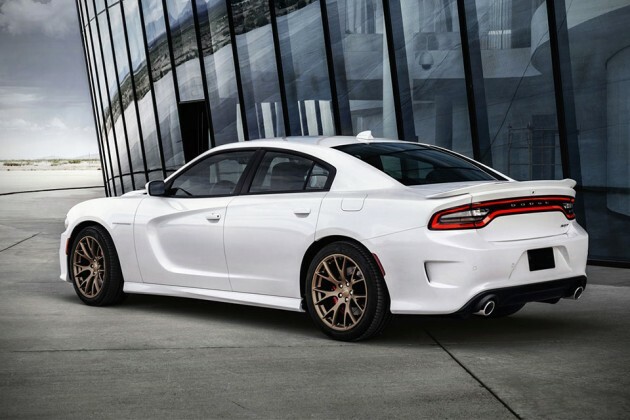 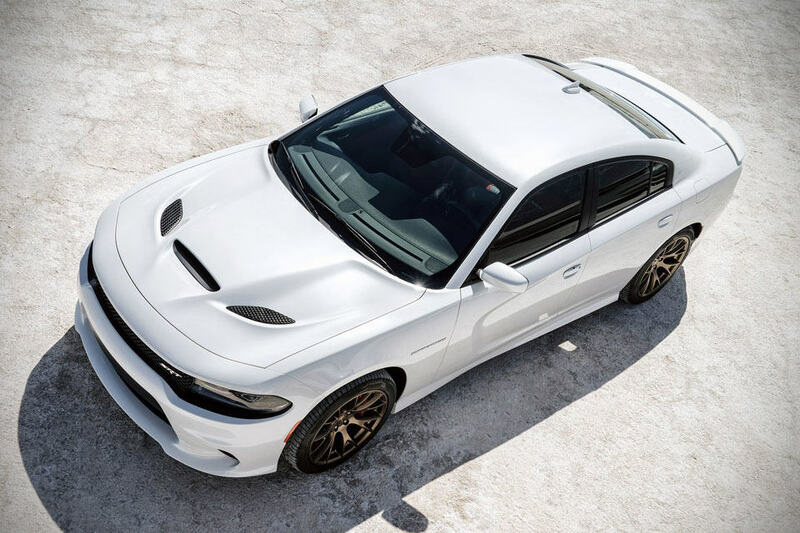 with the SRT Hellcat, the Dodge lends some re-sculpting and refinement to the body panels with functional features like heat extractors on the hood, unique front and rear fascias, and LED lightings. 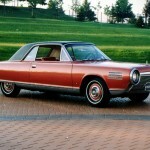 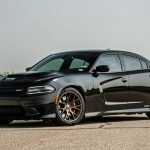 the monster HEMI engine is mated to a TorqueFlite heavy-duty eight-speed automatic gearbox and it also gets the largest brakes to be offered on a Chrysler ride, a set of 15.4-inch Brembo two-piece rotors with six-piston calipers for slowing and hauling down the family-friendly beast. it rides on 20 x 9.5-inch wide forged aluminum wheels with Pirelli P Zero performance tires and handling is further bolstered with adaptive damping three-mode suspension. on the inside, there is the SRT three-spoke, flat-bottom steering wheel, a 7-inch reconfigurable digital gauge cluster, a 8.4-inch touchscreen, Nappa leather and Alcantara suede seating, and of course, Uconnect Access system. 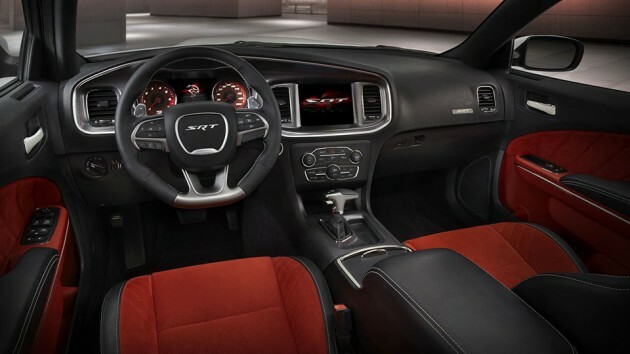 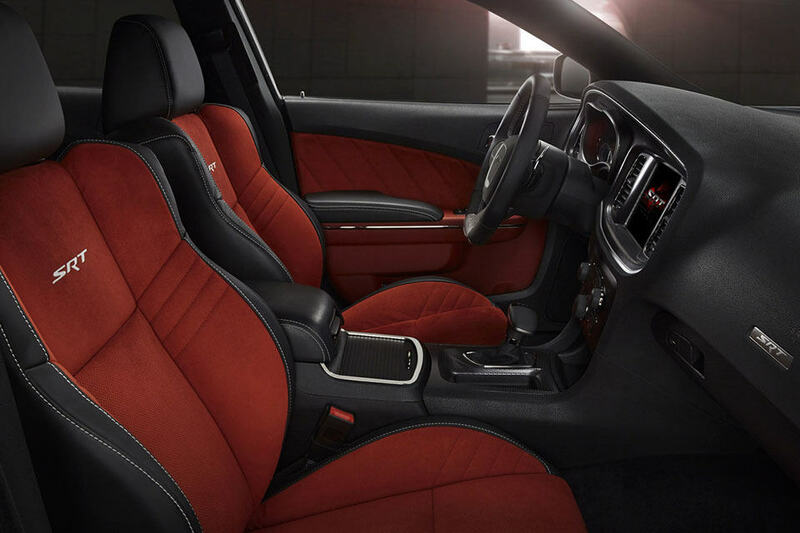 each 2015 Dodge Charger SRT Hellcat comes with two key fobs: a black one for regular drive and a red one that unlocks all its might for some serious American muscle car road-tearing activity. production for the 2015 Dodge Charger SRT Hellcat will commence in first quarter 2015 at the automaker’s Brampton Assembly plant. 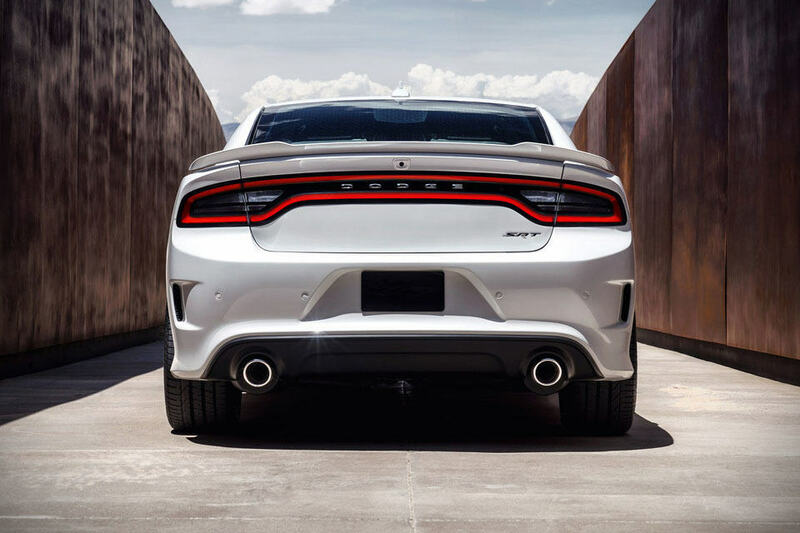 price is yet to be announced.